Posted on 12/01/2017 by Ian Grove-Stephensen Tagged accuracycalibrationGCSEgcse 9-1grade conversionlinear regressionQEGSregression analysisreliability	CommentsNo Comments on Is Yacapaca’s GCSE 9-1 grading accurate? Is Yacapaca’s GCSE 9-1 grading accurate? My thanks to Bobby Grewal at Four Dwellings Academy for the awkward question. then what grade might they be expected to achieve? Without actually throwing students as young as 11 into a real GCSE, how can we test whether our answers are accurate? Not only is that impractical; we can’t even (yet) back-calculate from real GCSE results. So we have to calibrate against some existing scheme for which we have data that can be validated. Fortunately, there are two sources, NC Levels and GCSE A*-G. There are published conversion tables between each of these and the GCSE 9-1 grades. My preferred version is the QEGS Points Conversion Wheel. The next question becomes “how do we know that our original NC and GCSE gradings were accurate. The answer is that we crowdsourced the calibration from thousands of teachers. As well as quizzes, Yacapaca allows you to add other grades from teacher-graded assignments. We correlate these to difficulty-adjusted quiz scores using linear regression. Thus, the accuracy of our quiz scores is based on the consensus in the teaching profession, rather than one arbitrary authority. Now, we have to ask ourselves how accurate the result of one single quiz might be anyway. There are fundamental limits: consider the hypothetical case of a quiz that contains only one question, which may be got right or wrong. Does a correct answer equate to a Grade 9? An incorrect to a Grade 1? Of course not. A single answer tells you almost nothing. In practice, the absolute minimum you should rely on is 50 questions spread across at least three separate quizzes. 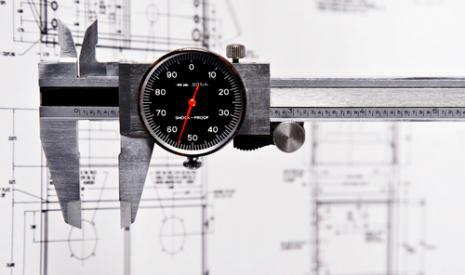 Finally, what accuracy can you expect from a single session with any assessment tool? Everyone has good and bad days; teenagers take it to extremes. If you really want Yacapaca to give you grades that you can rely on, my recommendation is that you use it little and often, building up a picture over time. Use the Progress Chart and the Parents’ Report to discover averages and trends in the data. So is Yacapaca accurate? Yes, provided you use it intelligently. If you look in your gradebook for any given student set, you will see that all the results are reported in the grade scheme you chose for that set. It’s easy to take that for granted and not think about how it is achieved – at least I hope it is, because we have worked hard to make the enormous complexity of that task invisible to casual users. 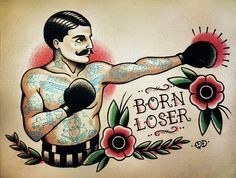 Losers are made, not born.